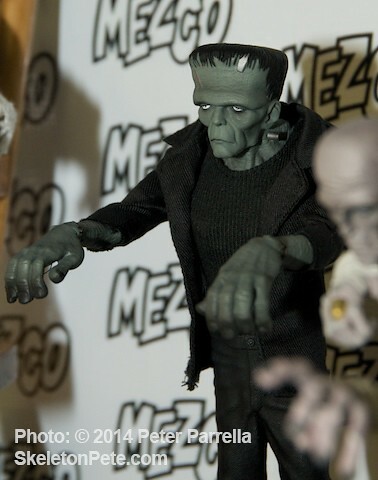 The good folks at Mezco Toyz revved up their engines for this month’s American International Toy Fair with a special press peek at their upcoming offerings. 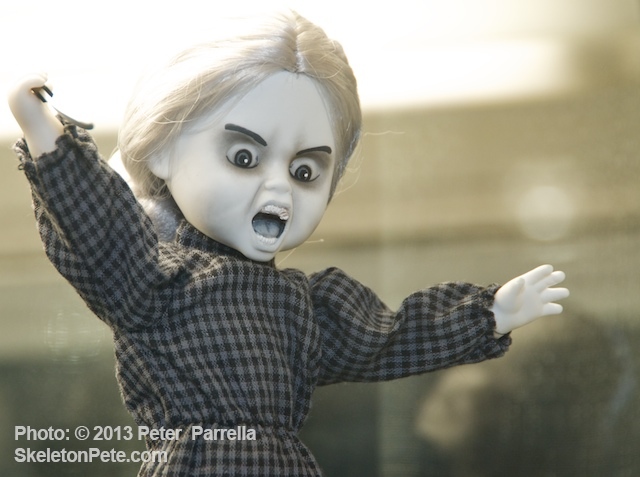 The company is not only celebrating the sweet sixteenth birthday of their Living Dead Doll Series but has announced a Sons of Anarchy figure and collectible line for release in summer of 2014. 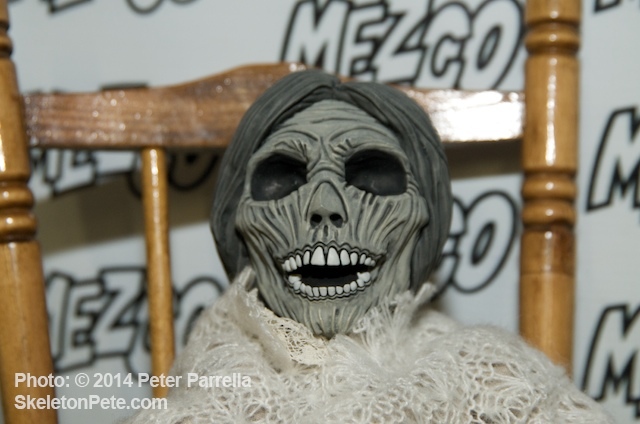 The advance viewing was a perfect opportunity to get some unfettered photos of this newest Mezco merch especially an unexpected Psycho treat. After focusing on the Sons of Anarchy and Breaking Bad characters, I peered across the room in Mezco’s sanctum sanctorum for an unexpected surprise. 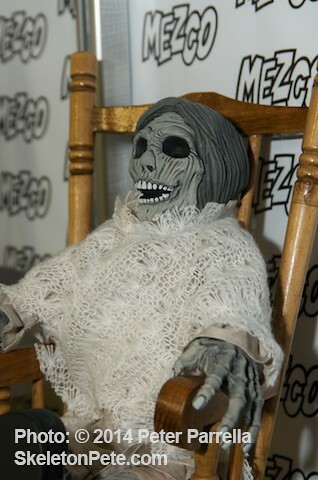 Perched on a display shelf, comfy in her rocking chair and shawl, sat Mother, the desiccated grande dame of the Bates family. 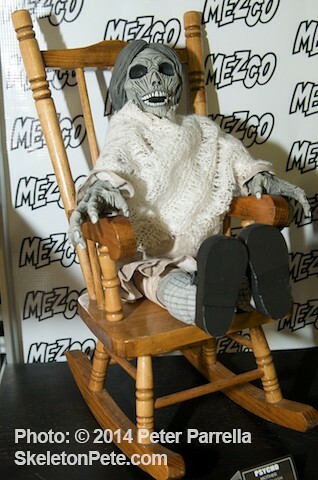 The wonderfully creepy creation is rendered as a “roto-plush,” with molded cast hands, feet and head and a plush body, like dolls of old. 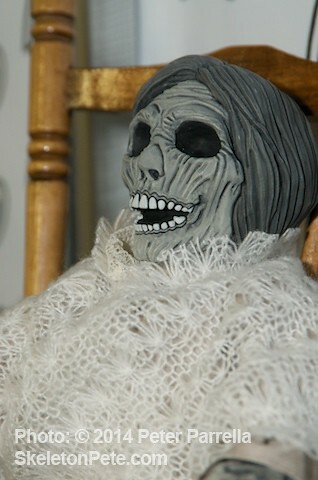 She perfectly compliments the Norman and Victim dolls released last year. She’ll be ready for release this coming summer. Keep your Raggedy Ann away from the shower stall. 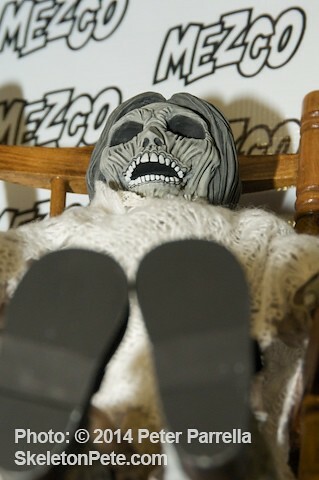 Karloff’s 1932 Mummy is the Next Universal Monster Emerging from Mezco in June 2014. 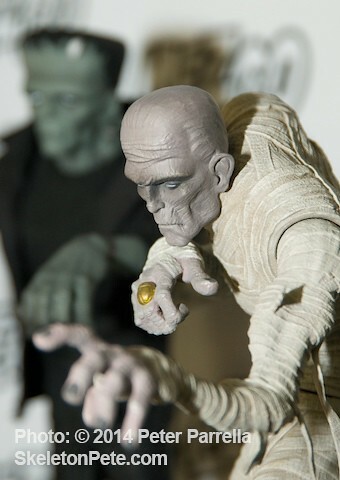 Not far from Mother stood her Universal Pictures kin, the equally shriveled Karloffian Mummy. 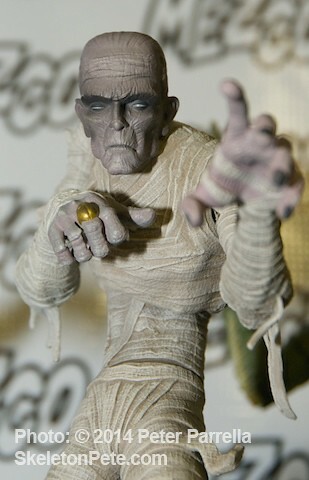 The Mummy is the third in Mezco’s effective angular stylization of the classics. Frankenstein’s Monster and The Creature from the Black Lagoon are currently available with The Mummy slated for June of this year. 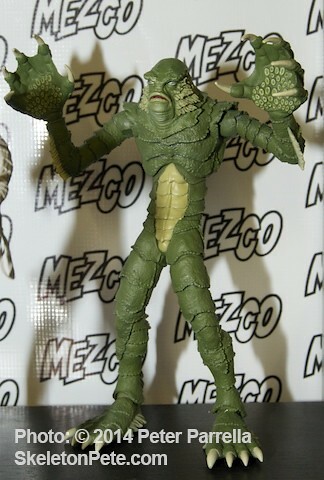 Still in the works and pending design approval is Mezco’s Creature from the Black Lagoon Living Dead Doll. 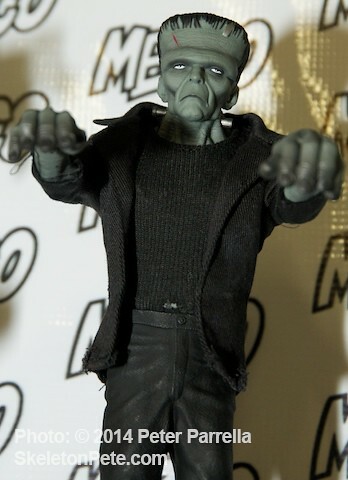 I expect to post a full gallery of images from Mezco’s Toy Fair preview on Thursday, including Living Dead Dolls Series 27 featuring “Myths and Legends from Around the World,” Sons of Anarchy, Breaking Bad, Axe Cop, 1966 Batman villains Mez-itz, and more. 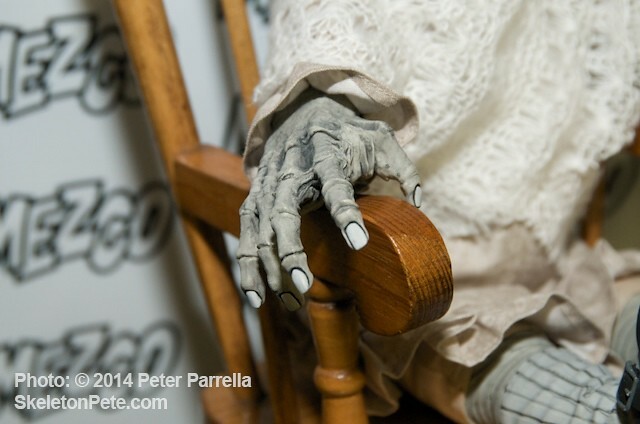 I’ve also been meaning to share some fun “beauty shots” of the all white “test shot” Creature from the Black Lagoon I scored at the Mezco sale last summer.